Looking into Coire na Creiche towards Sgurr an Fheadain. 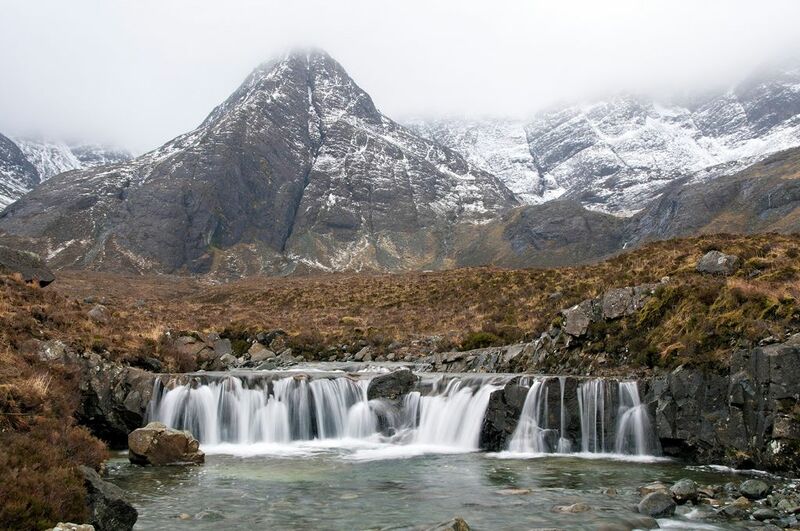 The fairy pools are found along the length of the main tributary streams which ultimately form the river Brittle. This is one of the impressive upper ones with the fang-like Sgurr rising menacingly beyond.